Sharing is caring, spread the love! Speed up your app design process with Mobile Wireframe Kit. If you’re a UX/UI designer or a mobile developer and enjoy using Sketch as much as I do, then you’ll know it’s a great tool for quickly creating design mockups, screen flows and wireframes. During my design process I often need to visualise my ideas quickly. Sketch 3 is a great tool for this. So I’ve created this UI kit to help you pull together commonly used UI elements and communicate user flows to the rest of your team or to clients. Mobile Wireframe Kit is a Sketch document consisting of some of the most commonly used UI elements in mobile app design. Sketch 3 by Bohemian Coding is a lightweight design package made for UX/UI designers who design user interfaces and digital products. By purchasing Mobile Wireframe Kit you will receive a single Sketch 3 file containing 20 screens and a collection of over 50 UI elements that you can use as a starting point when designing your next app. Sign up, create account, walkthrough, profile page, dashboard, newsfeed, news article, image full screen, image gallery, video, map, side menu, standard list, modal view, date picker, card stack, activity feed, instant messaging, new message and camera. I'm launching this product as part of Gum Road's Small Product Lab. This is my first digital product. 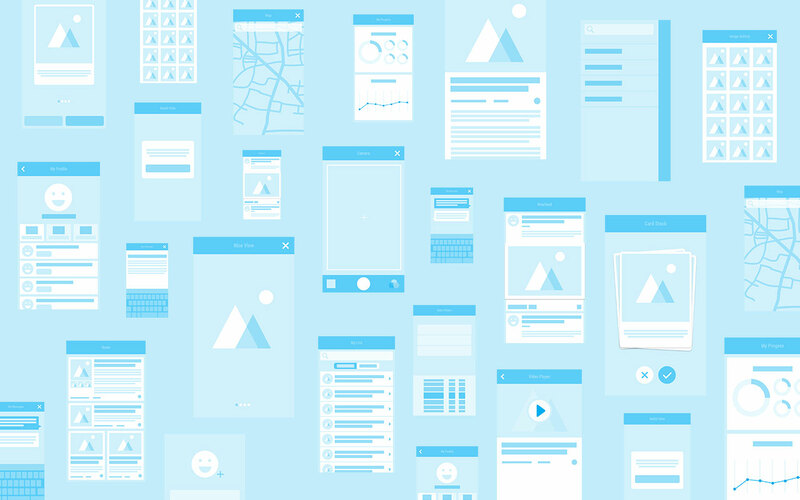 You'll get a Sketch file with 20 Mobile wireframe screens and 50+ UI elements.